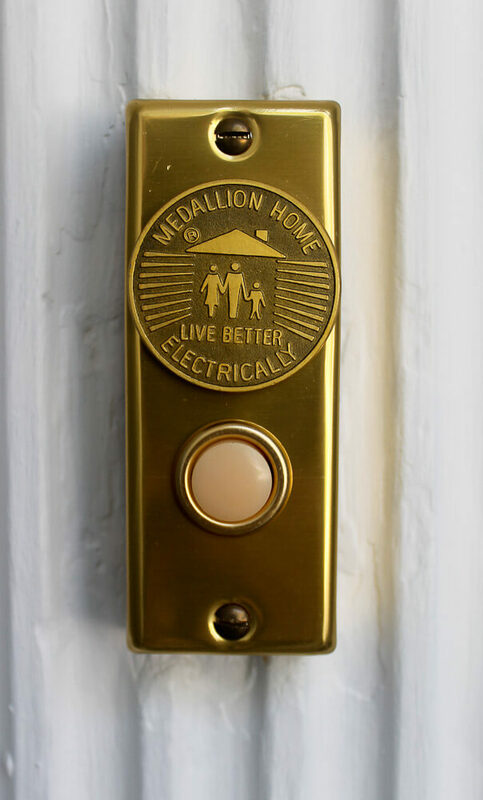 Lookie what’s new at my house: A “Medallion Home – Live Better Electrically” doorbell! The bell even stays lighted! Dear Husband LOVES it! 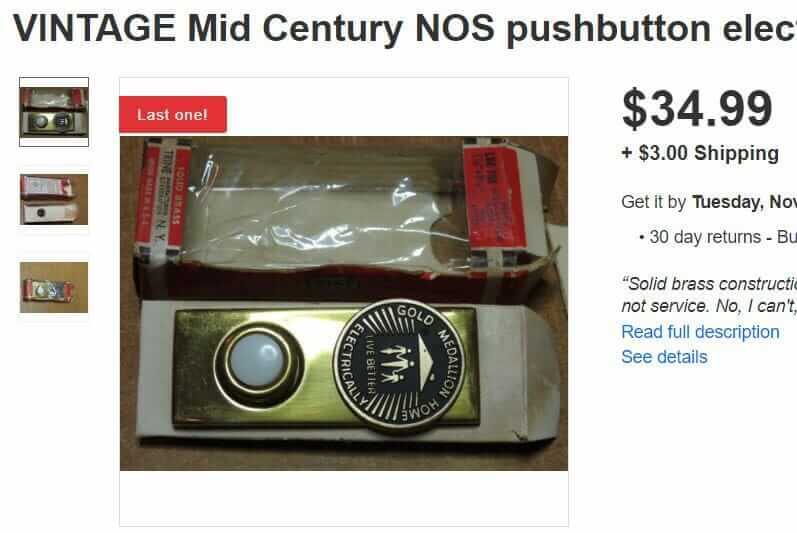 After 65 years, the plastic push-button on our original doorbell kinda caved in and disintegrated. When DH went to look at the issue, I remembered I had bought this NOS doorbell a whiiiiiiile ago. I kernoodled a bit re: where had I stashed it. And in about three tries, I found it. It hooked right up to the existing doorbell wires, easy peasy. Seriously. My husband LOVES it. He gazes lovingly every time we drive up to the house in the dark. He wanted to make sure I. Did. Not. Throw. Out. The. Box. 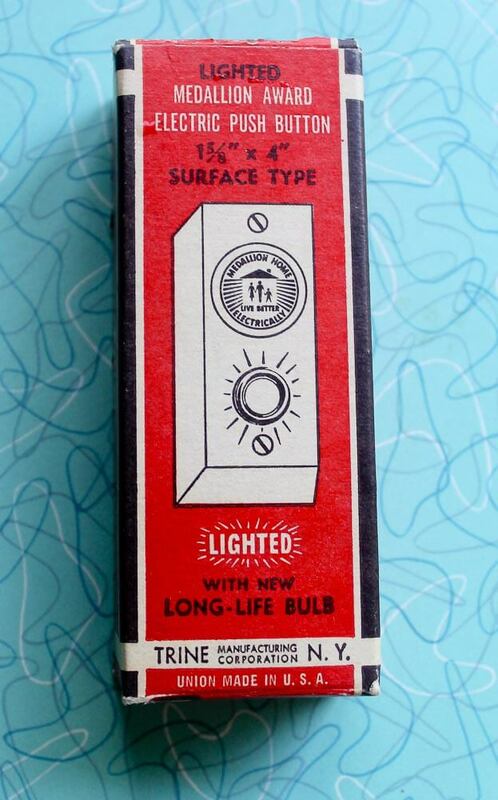 The Medallion Home Live Better Electrically campaign was A Thing, back in the day. But I am so busy working on my speech for Las Vegas that I have not a minute to go find links that explain it. Can you help, dear readers? If you find any good stories, can you post the links in a comment? Anyone else have memorabilia of this campaign? 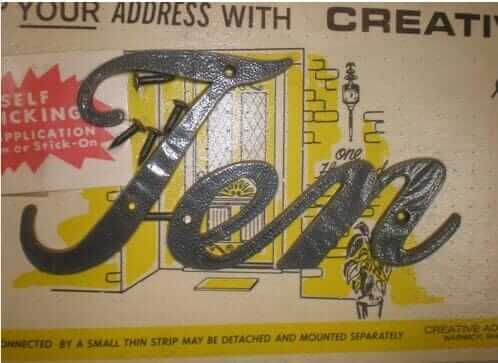 Or — something original on your house from it? 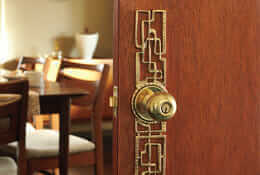 Which Crestview door for Maureen’s ranch house? Let’s vote! 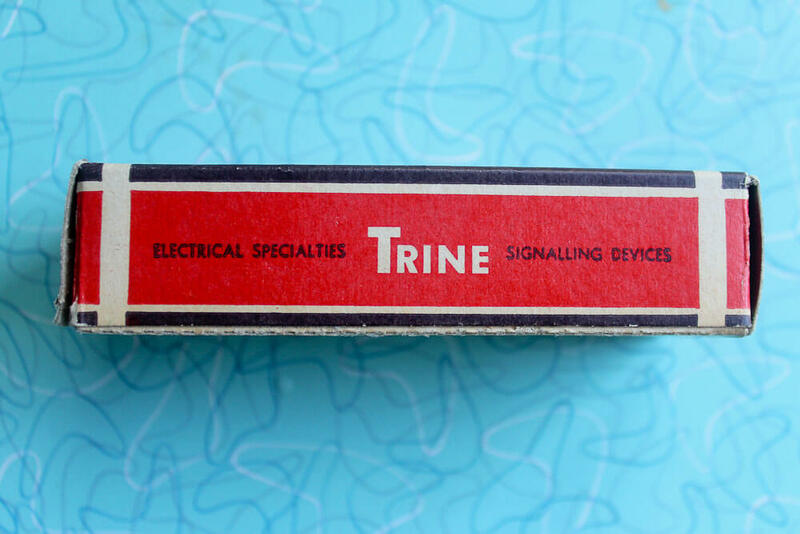 I have a Trine door bell unit and I need a copy of the instructions, if you have instructions could I please get a copy from you? This is exactly what I’m looking for. Any clue where I can buy one? You gotta watch for vintage — ebay is likely your best bet. That’s where I found mine. 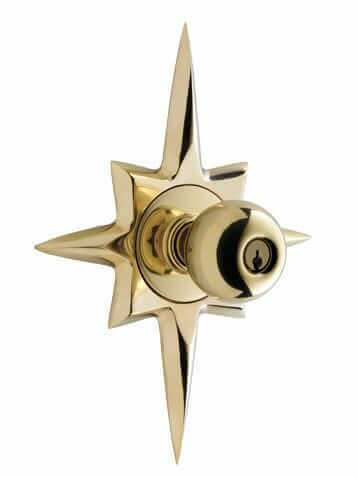 In Canada (or at least here in Québec), we had the same doorbells in French.